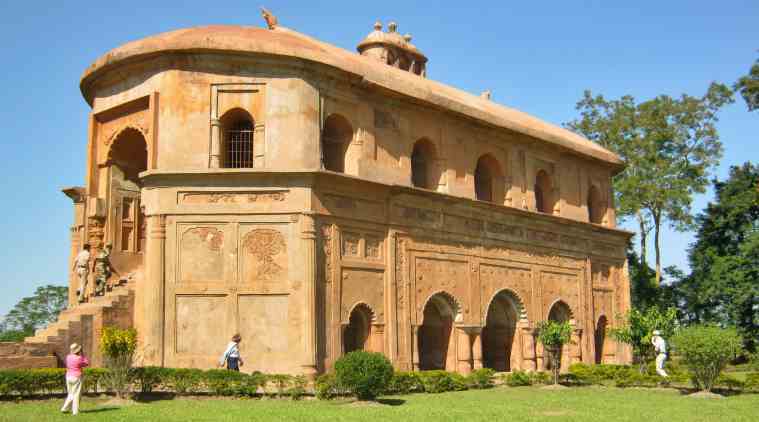 The Centre announced that the four sites in Assam will be excluded from the ‘Adopta-a-Heritage’ scheme. Photo Courtesy: Bidyut Das | Wikimedia Commons. After widespread protests in the state by various bodies such as the Asom Jatiyatabadi Yuva Chatra Parishad (AJYCP), Krishak Mukti Sangram Samiti (KMSS), All Assam Students’ Union (AASU) and All Tai Ahom Students Union last week, Assam Tourism Minsiter Chandan Brahma said that the Centre has agreed to remove four names from the Adopt-a-Heritage scheme. The four sites meant to be “adopted” by the city-based travel company Jungle Travels India Group (JTI) were three Ahom-era monuments: Sivsagar district’s Rang Ghar, Kareng Ghar and Siva Dol, and the Kaziranga National Park. The protesting groups were called for a meeting in Guwahati by the State Government on May 6. The groups were of the view that private companies would not realise the value of these heritage monuments. Following that a team headed by Brahma met with Union minister KJ Alphons on Friday. “We met at 11.15 am and I apprised him of the situation. After some discussions, he announced that the four sites will be excluded from the Adopt-a-Heritage Scheme,” said Chandan Brahma. The ‘Adopt-a-Heritage’ proposal was formulated in September 2017. According to it, monuments, heritage and tourist sites across India will be “adopted” by corporate entities, public sector companies or individuals for a period of five years to develop them. In New Delhi, there was a huge outcry after the Red Fort was outsourced to the Dalmia Bharat Group. “We have taken into account the sentiments of the local population as well as various organisations,” said Brahma. “I want to inform the citizens of Assam that there is no need to panic or feel scared about this issue.” The minister added that they will chalk out a systematic plan to maintain these monuments.